School wide Positive Behaviour Support (SWPBS) is based on the work of George Sugai and Rob Horner. Their research indicates that we can improve behaviour by 80% just by pointing out what one person is doing correctly. School-wide Positive Behaviour Support is a systems approach to establishing the social culture and behavioural supports needed for all children in a school to achieve both academic and social success. PBS is NOT a packaged system but an approach that defines core elements that can be achieved through a variety of strategies. The purpose of SWPBS is to establish a school climate in which appropriate behaviour is the norm for all students. SWPBS is an evidence-based approach which promotes proactive and explicit teaching of behavioural expectations and rewarding students for following them rather than waiting for misbehaviour or unacceptable behaviour to occur before responding. It provides our school with an improvement framework which focuses on data and enquiry to drive continuous improvement in our school’s behaviour management processes and policies. 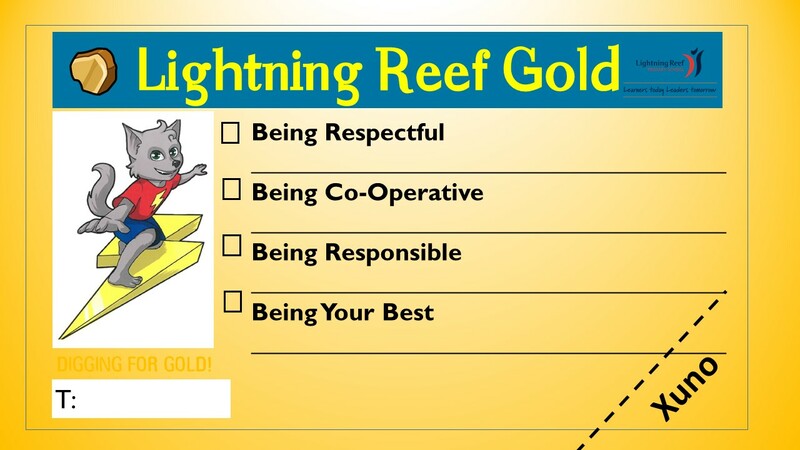 At Lightning Reef PS, we value a consistent, supportive approach ensuring ‘everyone’ is aware of our expectations, so that everyone works together. We have developed strategies for each of the following systems.